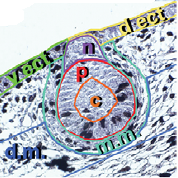 The use of the image analysis in developmental biology allows to monitor morphological parameters through the development of organs and tissues. The following examples illustrate for mice the development of mammary glands in the embryonic phase and to the adult. Formation of buds is measured according to the following diagram. 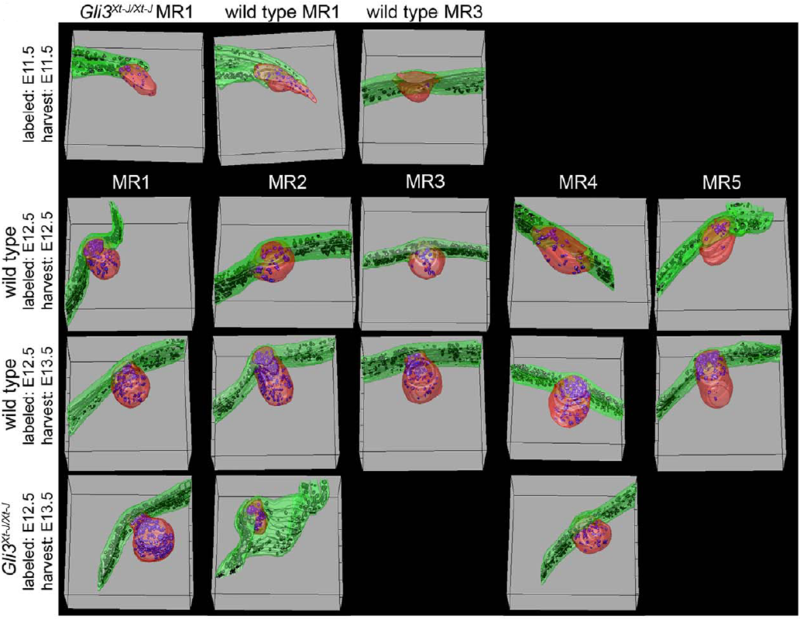 5 pairs of mammary buds (MR1 to MR5) between the 12th and 14th embryonic day are analyzed at mutant mice Gli3Xt-J/Xt-J and compared with wild mice. 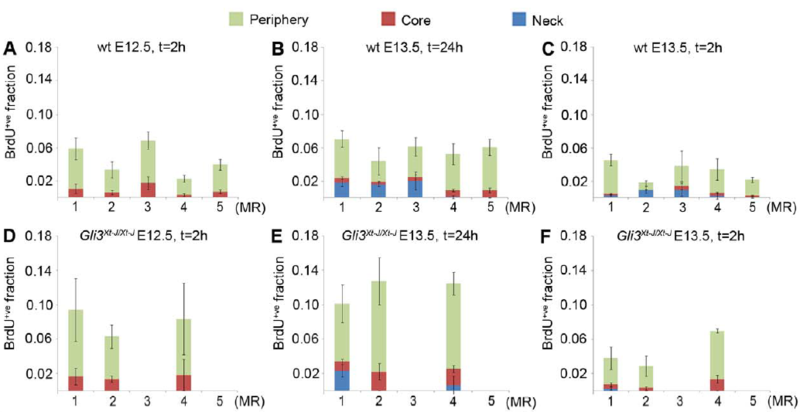 Reference : Ectodermal influx and cell hypertrophy drive early growth of all five murine mammary rudiment pairs, and are differentially regulated among them by Gli3 (2011). May Yin Lee, Victor Racine, Peter Jagadpramana, Li Sun, Weimiao Yu, Tiehua Du, Bradley Spencer-Dene, Nicole Rubin, Lendy T. Le, Delphine Ndiaye, Saverio Bellusci, Klaus Kratochwil, and Jacqueline M. Veltmaat.